Have you been able to live regret free in your marriage? We sure haven’t. There are lots of things we’ve done or have said to each other that we certainly have regretted. We just naturally bump into and step upon each other’s feelings when we are married. We may not want to. Our intentions may be pure, but reality is a different thing. Our many differences come to the forefront when we live together as husband and wife day in and day out. We’re talking about differences in our personality styles, temperaments, basic needs, communication styles, backgrounds, expectations, our individual approaches to everyday circumstances… and the list goes on and on. As a result, it’s only natural that we will do something to or with our spouse that we regret. But it’s what we do with our accumulated regrets, which is most important. The following are a few testimonies of regrets that music evangelists Steve and Annie Chapman gathered from couples they surveyed during their worldwide travels. They come from their book, What Husbands and Wives Aren’t Telling Each Other (only available on Kindle). Perhaps you can relate to a few of these regrets written by various spouses (as we did). • I wish my husband and I wouldn’t have argued in front of the children. • If I could change anything, I would have been a nicer person to live with. Deeply, I regret being so harsh and mean to my wife and kids. • I regret not making ‘our relationship’ more of a priority over the children. Now that the kids are older, I feel like my husband and I don’t really know each other. • We should have moved away from the people who were a bad influence on us. • I wish we hadn’t lived together before we got married. • How I wish I would have asked Jesus into my life sooner. I regret the wasted years. • We should have changed the way we conducted our financial situation. We’re so far in debt, I don’t think we’ll ever be financially secure. 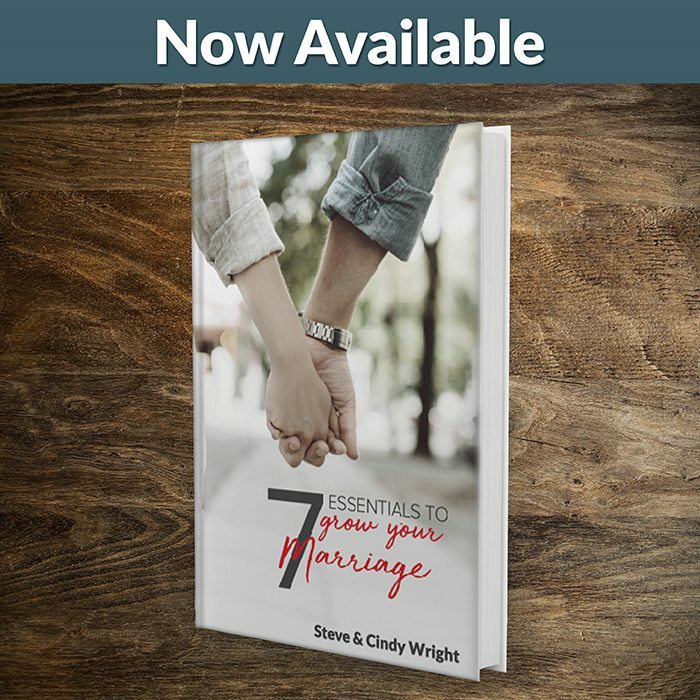 • I wish my husband and I would have prayed together. Whenever we’d hear someone preach about having prayer time as a couple, we’d talk about it. But we never followed through. I feel like something is missing between us as a result. • I regret buying a house that was too large for our income. The financial stress is suffocating me. The pressure of it all is something I feel all of the time. • How I regret straying from the church! • It makes me sad when I think about how much my wife and I have drifted apart. Is Living in a Regret Free Marriage Even Possible? We can totally relate! We’ve crashed into fighting with each other way too many times. That’s because we didn’t deal with each regret in healthy ways! Such wisdom! Steve and Annie didn’t say we are to bury each regret, or NOT deal with them. Rather, they said to deal with them in the wisest way, given all of the circumstances. There are different ways of dealing with them. And of course, as we deal with each regret, asking God for wisdom is definitely the wisest way possible. Only God can help us to live our lives in such a way where we live a regret free life. He can bring redemption to even the worst of situations. Plus, He can help us not to focus and dwell on that, which we shouldn’t. Please know that we know (and God especially knows) that we cannot control all of the circumstances that happen to us. Sometimes our spouse does or says something that he or she shouldn’t. Other people sometimes cause us pain and different types of regret. There’s no doubt that hurt people hurt people. We live in a fallen world on this side of Heaven. Sadly, this is all a part of living here. Additionally, many times we are the ones that cause pain to our spouse, ourselves, and others, which can cause regret. This can be done in so many ways we can’t even begin to list them all. But you know them. What we are encouraging you to do is to live in such a way that you will not regret what you have done. Also live in such a way that you will not regret how you respond to what your spouse and others have done. When you feel wronged ask God to help you respond in HIS way. Don’t be quick to respond. Pause. Ask God for wisdom. And then listen for His direction. You can’t change what others do that hurt you. (Sometimes you can, but most of the time you can’t.) However, you can change what you do. You can change your responses. And you can change how you treat others. Read Philippians 2, concerning Christ’s humility and the challenge given to us. We’re told to “do nothing from selfish ambition or conceit but in humility to count others as more significant that ourselves.” We’re also told to “Have this mind among yourselves, which is yours in Christ Jesus…” Even though He is equal with God the Father, He emptied Himself taking on the form of a bond servant. He is our servant leader… leading us by His example to love and serve each other. Looking at these scriptures in context of how they are presented, what this means is that we aren’t supposed to park on “what is behind.” The apostle Paul (who is quoted here) did not forget that he was once a Pharisee, or a “persecutor of the church” etc. He just didn’t let it cripple him to “press on” for Jesus. That is our mandate. That is what we ask God to help us all to do. That is true for you too. God delights in you. He is only a prayer away. Ask God to help you to sort through the confusion. Look at the sins that others have done against you. Look at the sins and mistakes you have made in the past. Learn from them. What can you do from this day forward to participate with God in redeeming them? Don’t park there in the sea of regret. Just stay there long enough to learn what you need to. Then get in the boat with God to go forward to lay these regrets to rest. And then do what He directs. Go to any lengths that you should to forgive others. YOU need the healing this can bring. It is for your benefit that God tells us to forgive. Reconciliation is another step entirely. Don’t even go there in your thoughts at first. Take one step at a time. Get into God’s boat and go with Him on this journey. “Suppose somebody does something that angers you. The situation is complicated so you are not even sure of the right way to respond. Without even trying your mind fills with all kinds of bad thoughts. In that moment you do not know what you should do. But God knows. And if you surrender to Him, He will show you how to respond with grace. The options that look attractive to you—avoiding, evading, gossiping, blasting—you relinquish to God. If your hurt runs deep, it will be about five minutes before the revenge fantasies start raging back. You will have to surrender all over again. For the hurts you have caused, go to any lengths to repent. Then help those you have hurt. Don’t give a baggie full of “I’m sorry” to the one you hurt when you actually owe him or her a huge basket full of “I’m truly, deeply sorry. Will you forgive me?” And then later ask, “How can I help with this?” Go the extra mile. Jesus did. He knew and knows how to live a regret free life. Therefore, He is our example to follow. God may even stop you at some point and tell you there is nothing more you can do. If so, just focus on what God directs you to do next. Stop, stay, listen, and then proceed when God tells you it’s the right thing to do. Don’t dwell on the past allowing it to poison your present and future. Stay there long enough to learn what you need. And then use it as a stepping stone to live more fully as God would have you. We hope you will ask Jesus to help you to live a regret free marriage to the degree you can. Haunted by the “If Only’s” In Your Marriage?